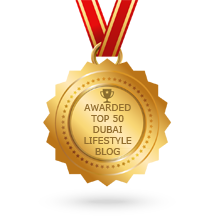 CLASSY DUBAI was founded in 2015 as a lifestyle magazine from Dubai and was in 2017 the only German-English language medium to be voted into the Top 50 Dubai Lifestyle Blogs and Websites On The Web, ranked third, due to its originality and quality. It is read by entrepreneurs, opinion makers, journalists and artists worldwide. CLASSY DUBAI is now becoming global. In addition to lifestyle, we will deliver more quality business content that informs, inspires and motivates our readers. We're all about the reader; the stylish, entertaining presentation of the knowledge you need to make decisions. It is about your relaxed handling and the famous lightness of being: opinions and experiences of the successful. We see CLASSY DUBAI as a visualization map for those who want to get inspired. We believe that Classy Dubai may uplift individuals worldwide through the personal stories of success as well as exclusively selected business and lifestyle content. If you have a message that you would like to convey to the readers of Classy Dubai, please write to us. Welcome to the essence of of delightful inspirational life, insights of business & entrepreneurial mindset.